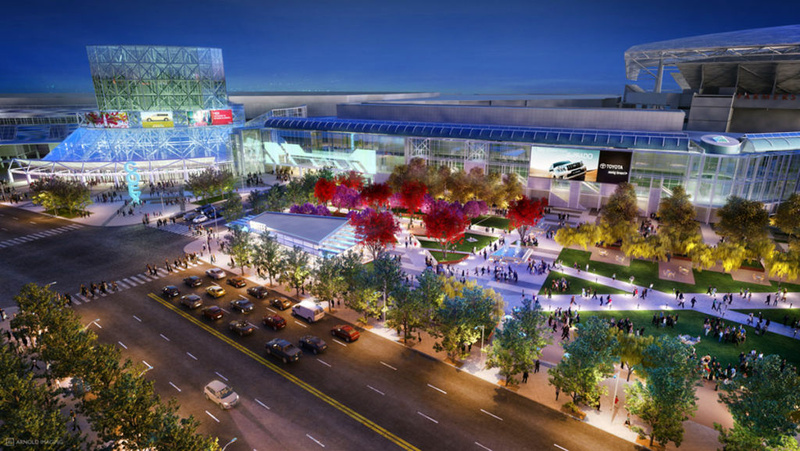 This is AEG's rendering of what the Los Angeles Convention Center could look like after Farmers Field is built. Yesterday, AEG, the developer of a proposed National Football League stadium, cleared the last legal obstacle that stood in the way of construction. So when will they actually break ground at Farmer's Field, the proposed site at the downtown convention center? And when's kickoff? We've got KPCC's business reporter Matt DeBord here to fill us in. Farmers Field stadium unanimously approved — NFL team next?